Has the fact that environmental problems require international co-ordination affected eco-philosophy? 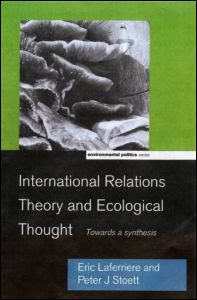 This is the first book to show how international relations theory relates to ecological thought. It asks whether the environmental crises faced by scholars and policy makers have induced significant changes in perspective, and whether or not international politics theorists have reflected such shifts.